Wonder Woman DTV On the Way! 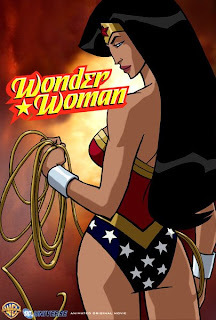 TV Guide reports that Keri Russell is indeed the star of the February 2009 animated DVD movie Wonder Woman, the next in a series from Warner Bros. and DC Comics following last Tuesday's release of Batman: Gotham Knight. The plot of the movie is based on George Perez' 1987 "Gods and Mortals" arc. The film, which will be released in February 2009, stars Keri Russell as Wonder Woman and will be directed by Lauren Montgomery. It will also feature Russell's Waitress costar Nathan Fillion as Steve Trevor, as well as Alfred Molina, Rosario Dawson, and Virginia Madsen.